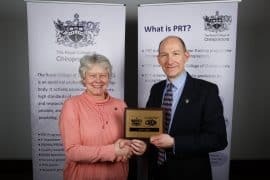 The McTimoney College of Chiropractic is part of BPP University’s School of Health and the College is managed and operated by BPP University on behalf of the McTimoney Trust. Awarded by BPP University, the MSc Animal Manipulation programme is a Masters level programme that trains students in Animal Manipulation. The programme is designed either for students who already have training in a hands-on therapy (this may include a trained chiropractor, physiotherapist, osteopath or any other fully qualified and suitably experienced practitioner), for those with a BSc degree in Equine or Animal Science or for those who are a member of the Royal College of Veterinary Surgeons. Students from a non-manipulative background will be expected to complete the Graduate Certificate in Animal Therapy. Students who do not have formal training may submit a portfolio of certified experience for consideration. A wide range of academic subjects are studied as well as an introduction to the philosophy and practice of animal techniques. The first year of the programme is delivered at Warwickshire College where students have access to library and animal facilities. The second year of the programme is conducted at various sites throughout the country where practical skills are taught under the supervision of a qualified practitioner. The programme is semestered over two years and students are required to attend monthly weekend tutorial sessions. The programme is taught at Masters level and students must be capable of working at this standard. Students who are not chiropractors or osteopaths are required to undertake a programme of training in animal manipulation skills. The programme is taught over two years, and leads to the BPP University award of MSc Animal Manipulation. The academic year begins in January of each year, and the annual intake is limited. For those graduates who are chiropractors, this programme provides a route to Membership and Fellowship of the Royal College of Chiropractors and the Specialist Animal Faculty. To provide solid teaching in the theory and practice of animal manipulation. To create opportunities for personal and professional development. To contribute to the research base of this specialisation and to encourage research amongst practitioners. 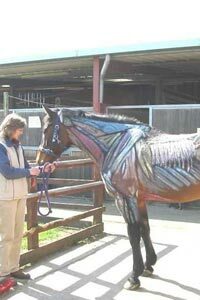 To promote animal manipulation as a safe and practical method of treating animals. To provide safe, competent and reflective practitioners. To encourage the establishment of the cohesive professional view formalised in a new professional body for animal manipulators. To set levels of competency and to place the work of practitioners in an ethical and philosophic context. Provide a safe and competent animal treatment. Understand their role within the animal health/welfare field, together with their relationships to other colleagues and owners/carers. Be able to communicate with other professionals involved in the animal health and welfare field. Interpret research findings and their implications for animal treatment. Understand the major legal, ethical and social implications of McTimoney Animal treatment. The McTimoney Animal Association (MAA) is the professional association for McTimoney Animal Practitioners. It is responsible for setting professional standards for its members and for maintaining a professional code of ethics. This site has a members section where members can stay in touch, find out about any upcoming CPD courses and relevant news, and ensure effective communication within the profession. Students will join the MAA as student members on enrolment. McTimoney College Wins National Quality Award! Staff, students and graduates meet up at professional conferences around the world! McTimoney College of Chiropractic is managed and operated by BPP University and is part of the BPP University School of Health. © 2019 McTimoney College of Chiropractic.